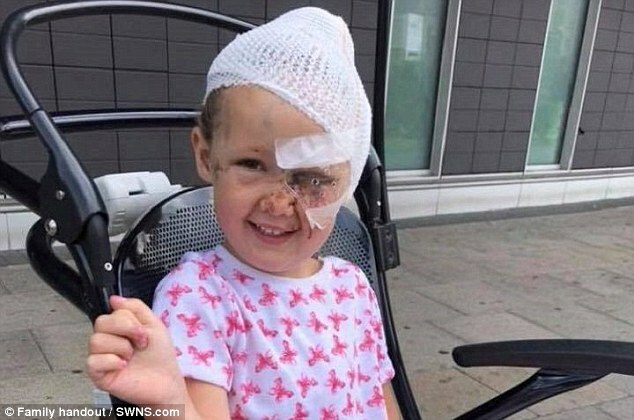 A four-year-old girl was almost killed after her skull was crushed by a dog that savaged her while she played in a friend's garden. 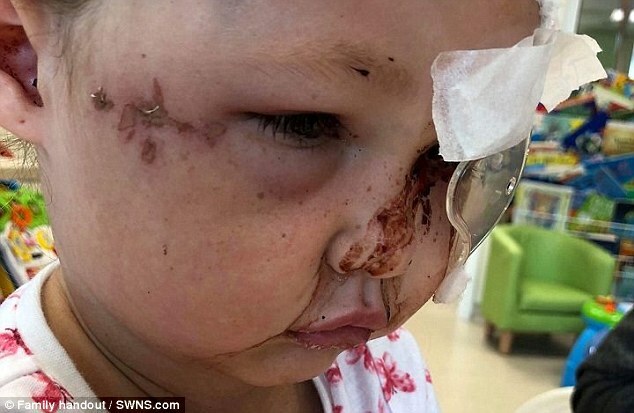 Little Tillie is in danger of losing the sight in one eye after she was mauled by a CROSS-BREED DOG while she was playing at her friend's house. 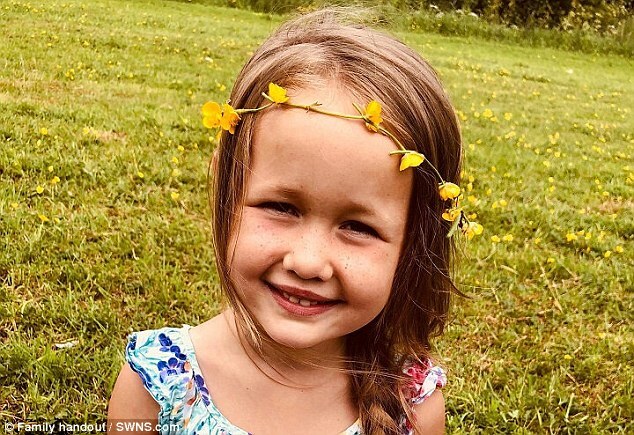 While schoolgirl Tillie recovers in the hospital following the horrific attack last Sunday her best friend Halle Wilson, four, is doing her utmost to cheer her up. A woman has been arrested on suspicion of having a dog dangerously out of control after the attack in Preston, Lancashire. Police were called at around 4.15pm following reports a child had been injured by a dog in the garden of an address on Westfield Drive, Preston. 'The four-year-old girl was taken to Royal Preston Hospital with facial and head injuries. It is believed the girl had been playing in the garden of a property where the dog lived. 'It is thought the dog is a cross-breed and it has been seized by police. 'A 40-year-old woman from Preston has been arrested on suspicion of having a dog dangerously out of control and remains in police custody.' READ MORE HERE....,. I like the idea that if you have a "dog that is dangerously out of control" you get arrested. None of this "My dog has NEVER shown signs of aggression before!" BS. Laws like that might be the first step for some US communities to get a handle on their "dangerously out of control" pit bull problem.